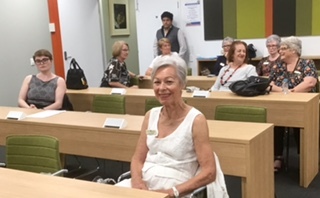 The Judges were Sue Doherty Mayor South Perth, Professor Siobhan Austen Curtin School of Business and Vida Corbett SI South Perth. 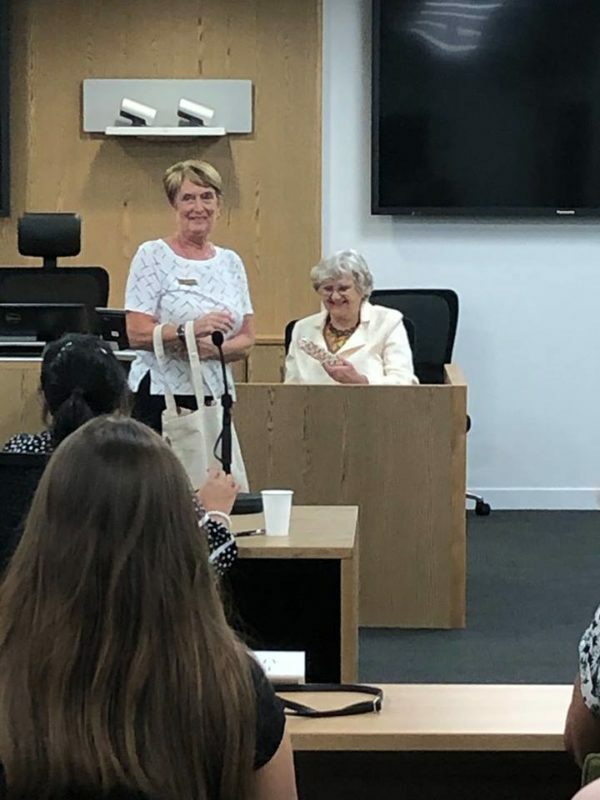 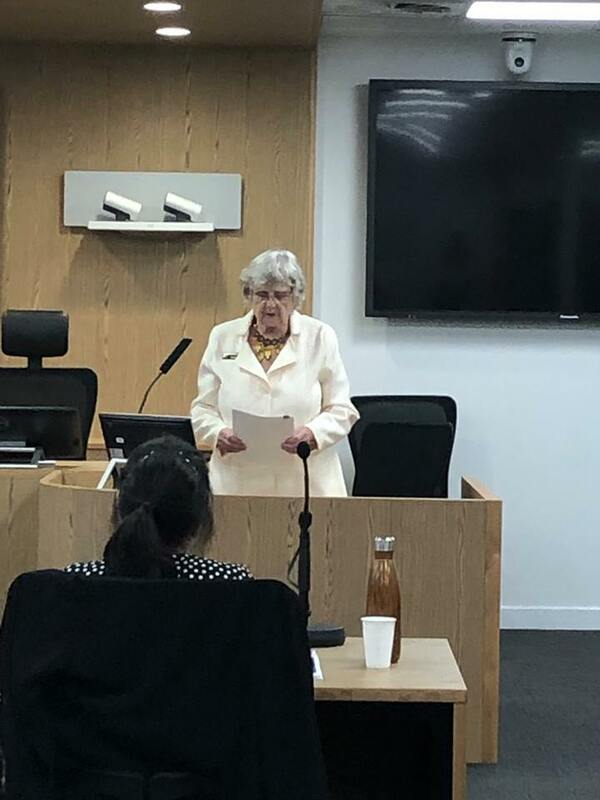 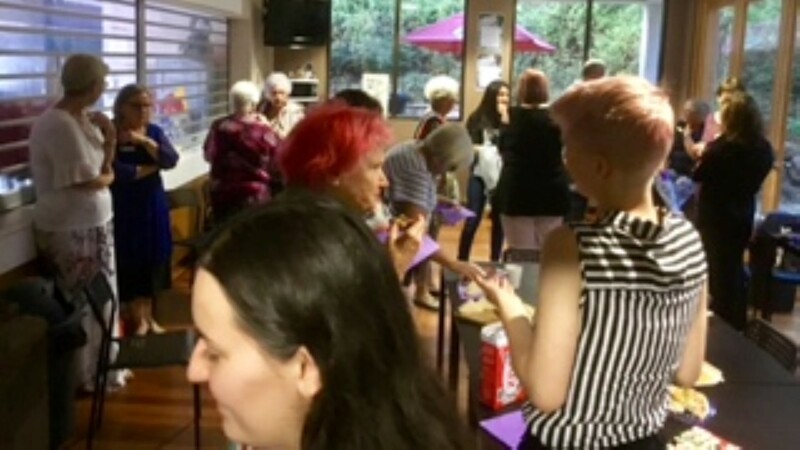 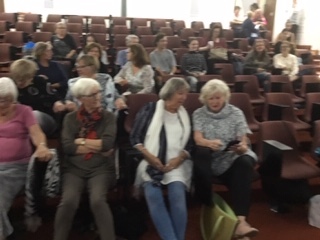 Jane Jones, Celeste Sweeney and Kaye Hill gave presentations and updates on the respective club’s activities and projects between speakers and while the judges were deliberating. 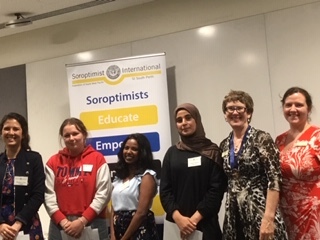 Again another lovely evening, a great crowd and supper was as usual fantastic, thanks to the Soroptimist supporters from other clubs who came along. 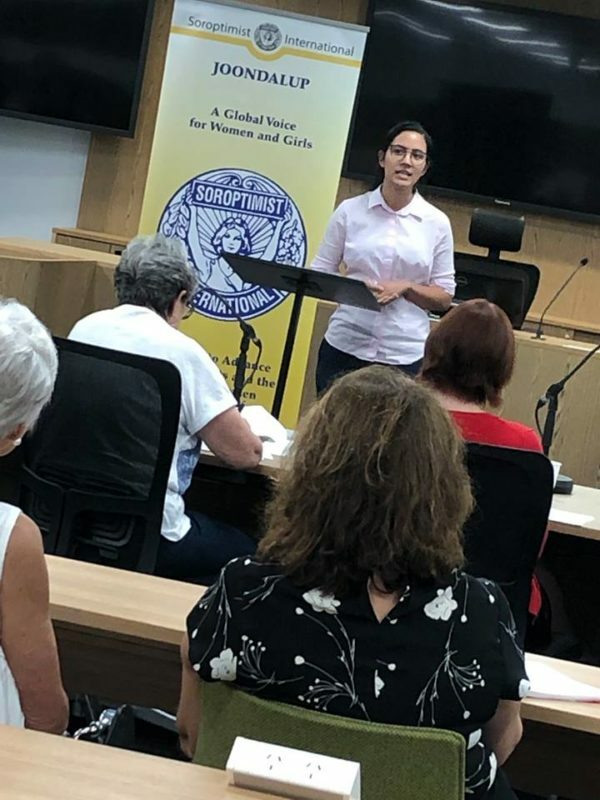 SI Fremantle President Karess Dias welcomed everyone to the club Heat of the Public Speaking Competition held at Santa Maria Lecture Theatre at NotreDame University. 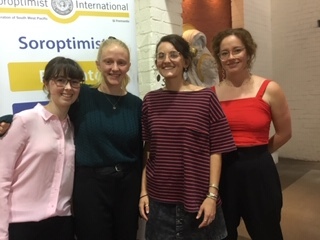 Four lovely young women, Rebecca French, Lucy Stewart, Brittney Macrae and Petrice Pesick presented their arguments to a good crowd tonight they were all focussed and passionate about their task and made it extremely difficult for the judges to deliver a winner. 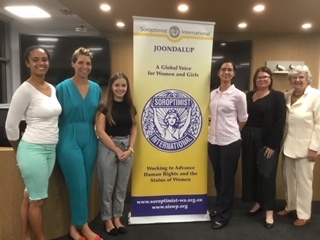 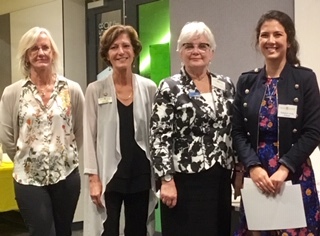 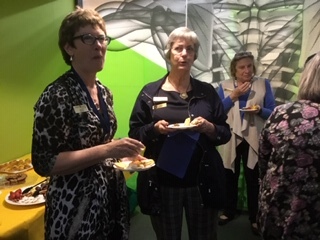 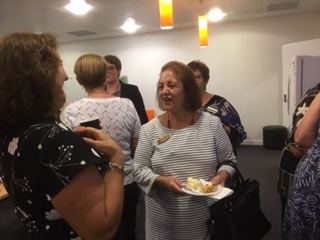 The judges were Adele Tan CEO of Fremantle Women’s Health Centre, Carol Sketetee Associate Head Fremantle Campus Notre Dame University and Anne Allen IPP SIWA. 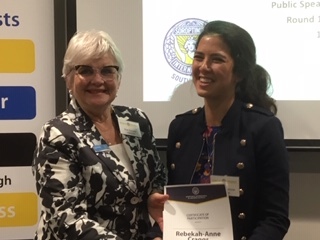 The winner was Petrice Pesick who is studying Law and Commerce. Petrice will go on to represent Notre Dame University at the Grand Final on Saturday 27th April at 1pm following the Region Meeting. 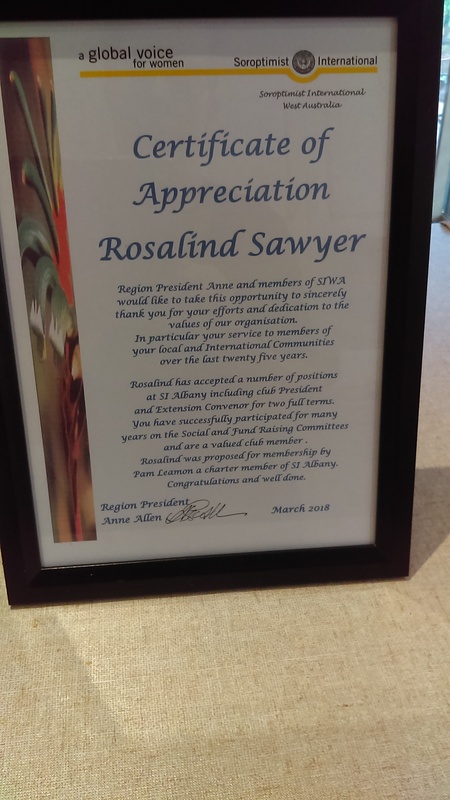 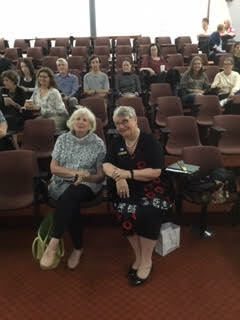 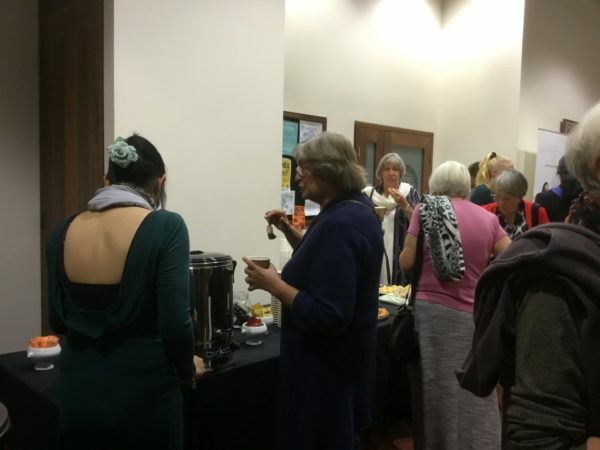 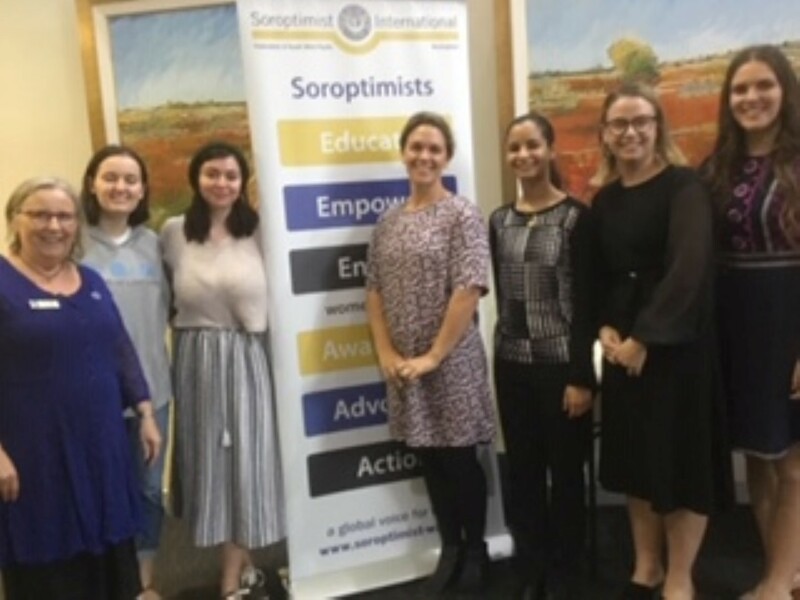 Thanks to the visiting Soroptimists who helped boost the numbers in the audience. 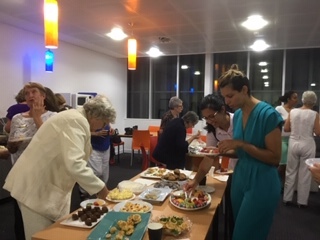 Supper was a very tasty affair thanks to the Ladies who provided the food. 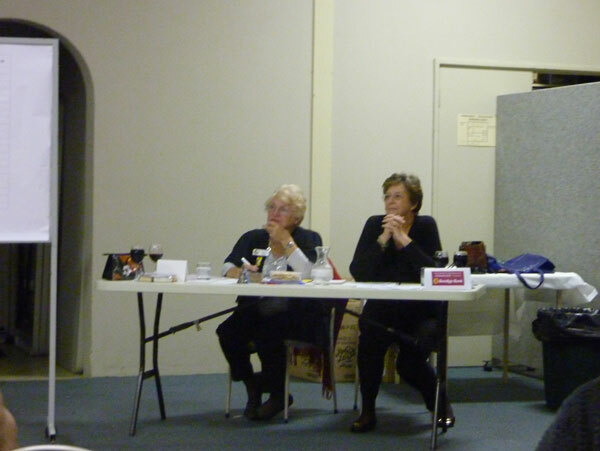 Tonight’s heat was hosted by SI Rockingham. 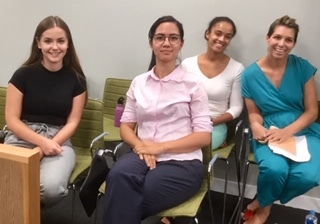 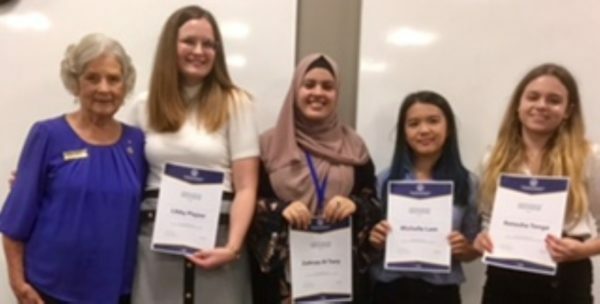 The four contestants did a fantastic job on their presentations and interestingly they all chose the same topic, so it was a very close contest by Emma, Noran, Chelsea and Kayleigh. 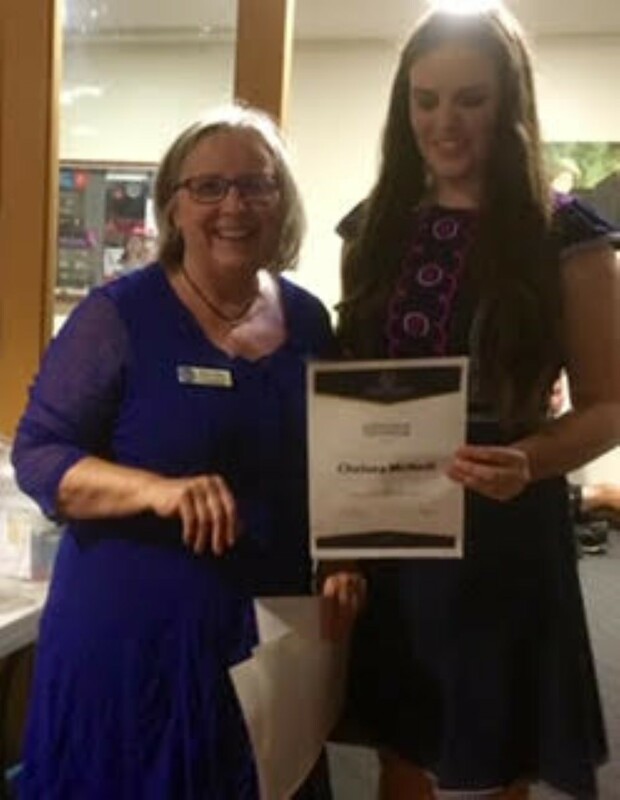 The judges’ decision revealed that the winner was Chelsea McNeill. 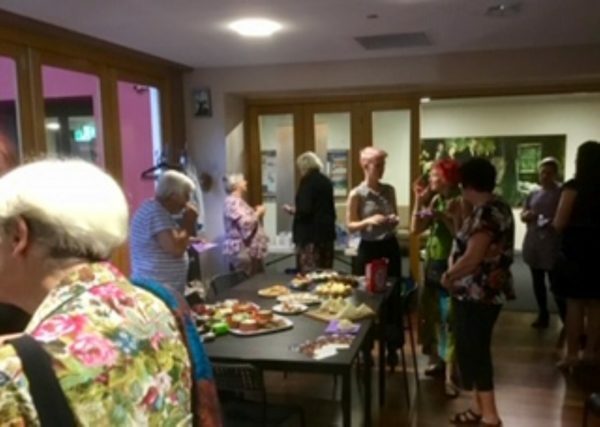 It was a lovely friendly evening and we had the most beautiful supper provided by SI Rockingham members. 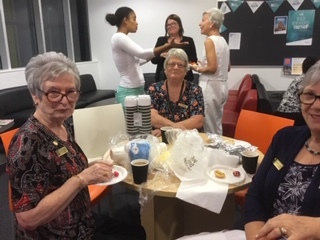 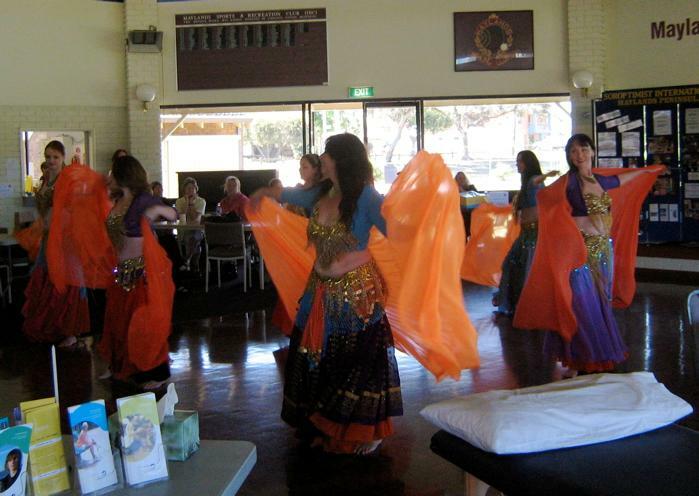 Eleven members from SI Fremantle attended so thanks ladies for giving up yet another tea time this week. 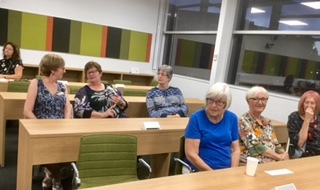 Tonight was the SI Joondalup heat. There were five contestants who all did their presentations beautifully. 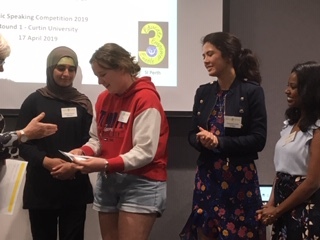 The judges had a very difficult task finding the balance and selecting the winner was not an easy job to complete as all of the participants were passionate and committed to their chosen subject. 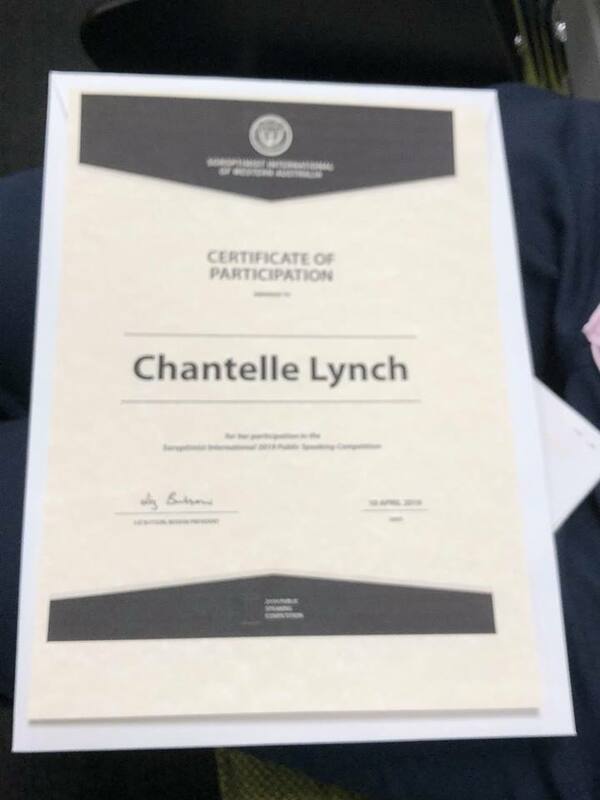 Chantelle Lynch was the ultimate winner. 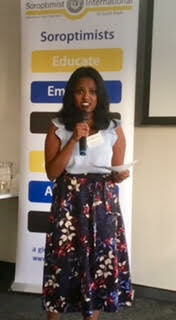 She will now compete in the final at Notre Dame University on Saturday 27th April. 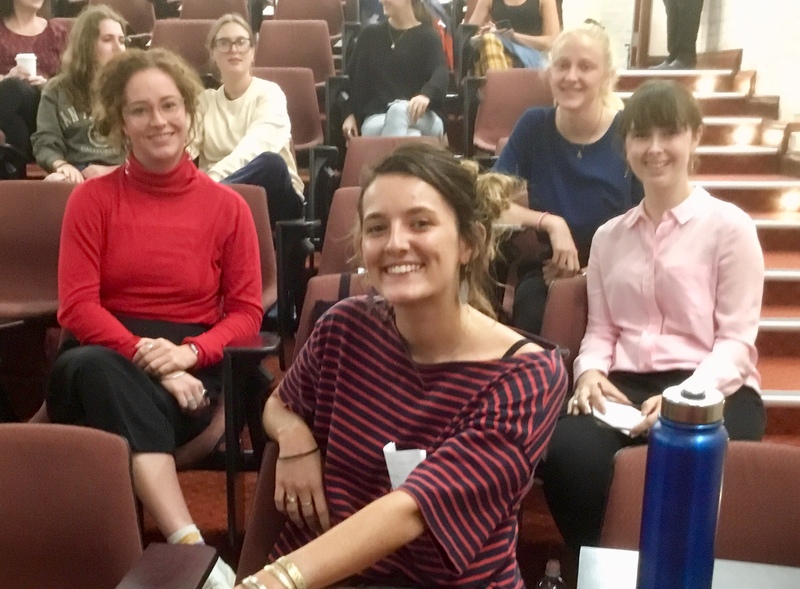 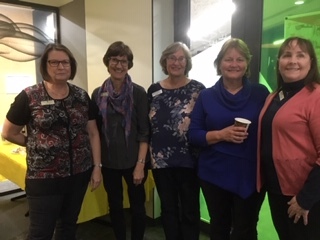 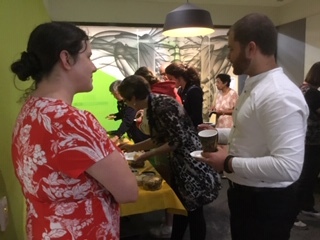 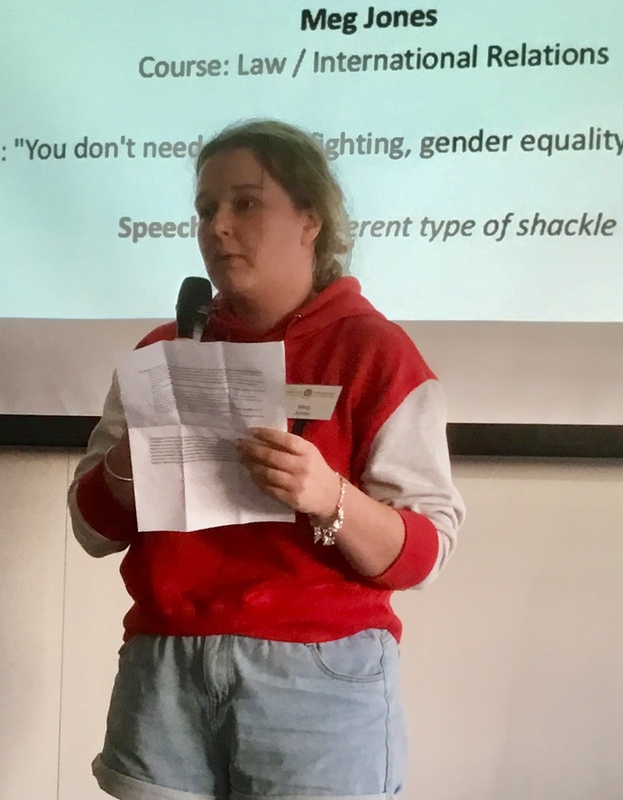 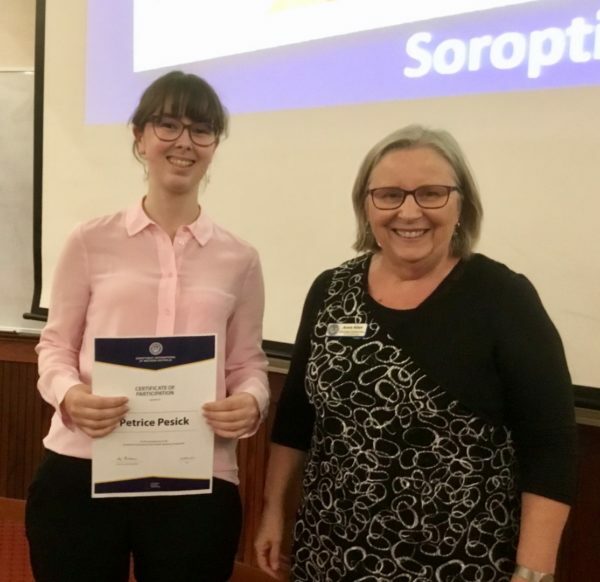 The first heat of the Region Public Speaking Competition was hosted by SI On The Terrace and SI South Perth at The University of Western Australia and included fantastic refreshments on the balcony prior to the start of the Competition. 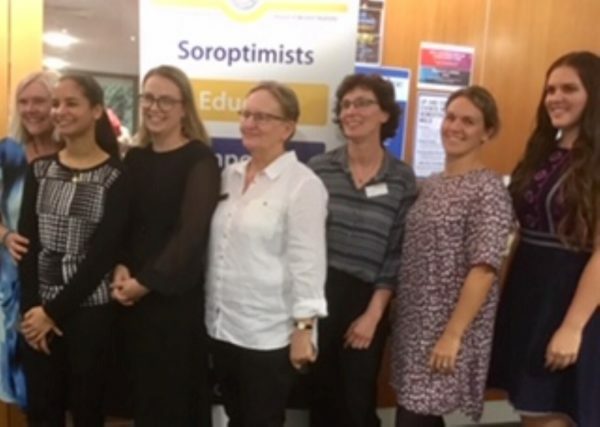 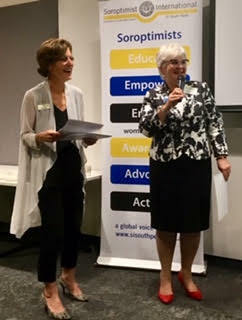 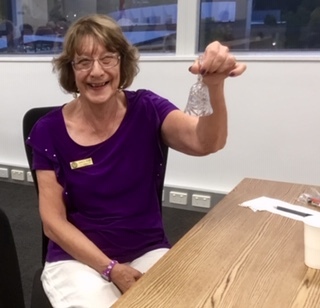 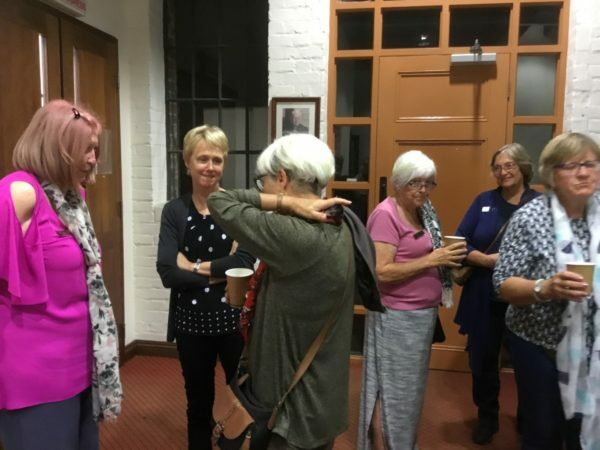 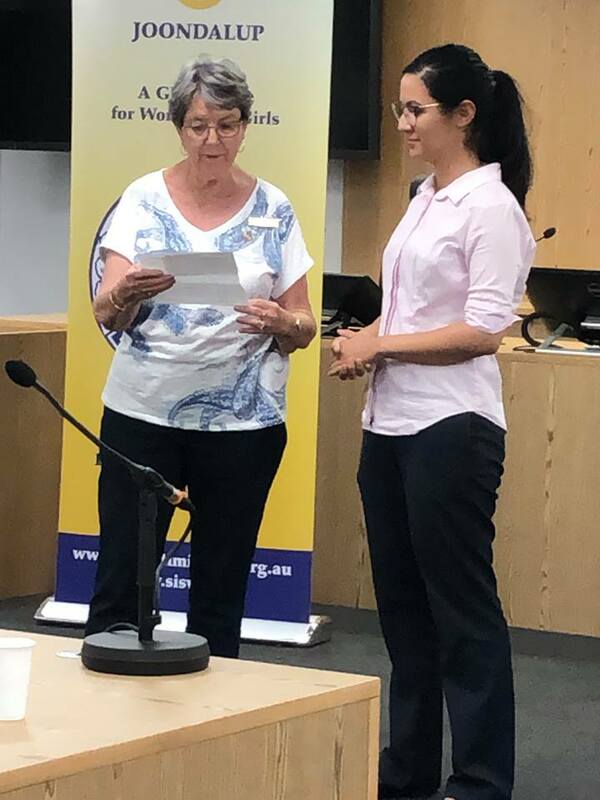 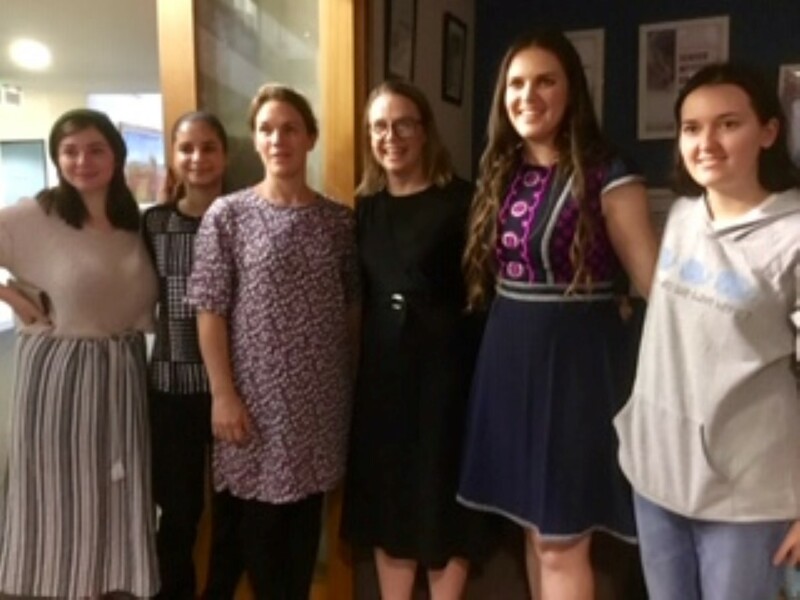 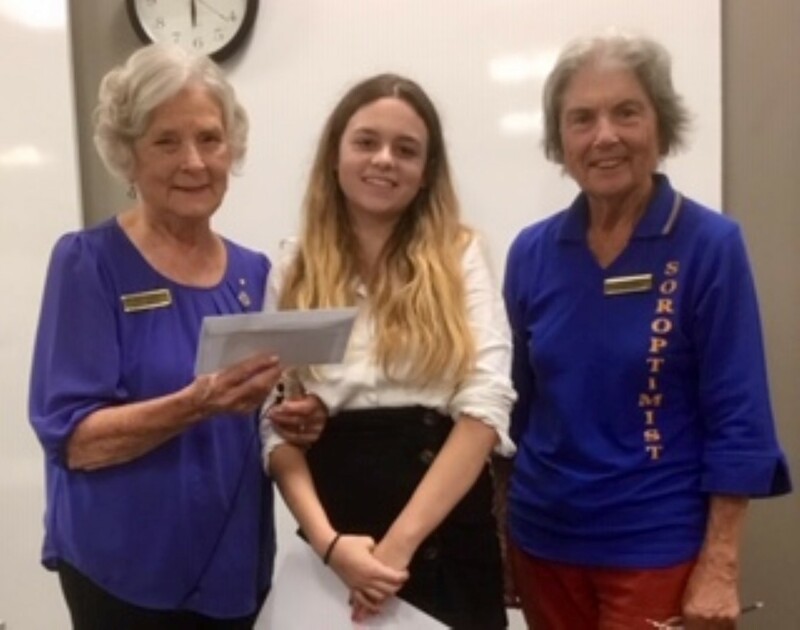 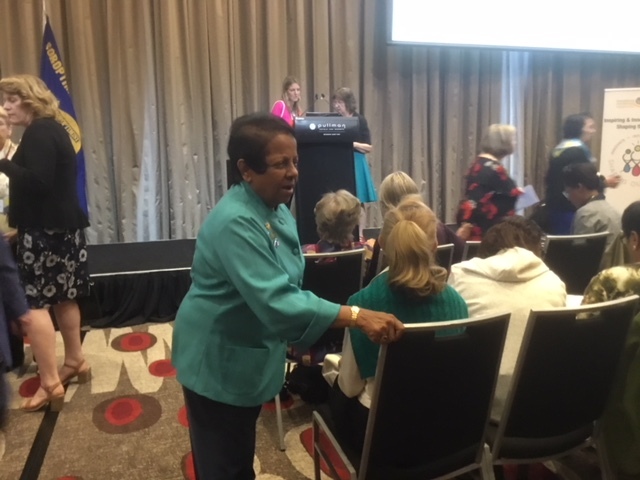 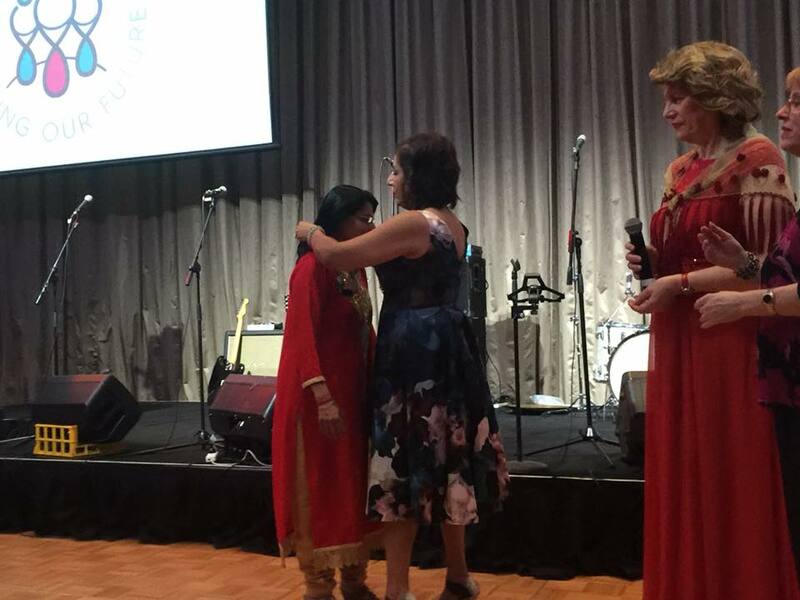 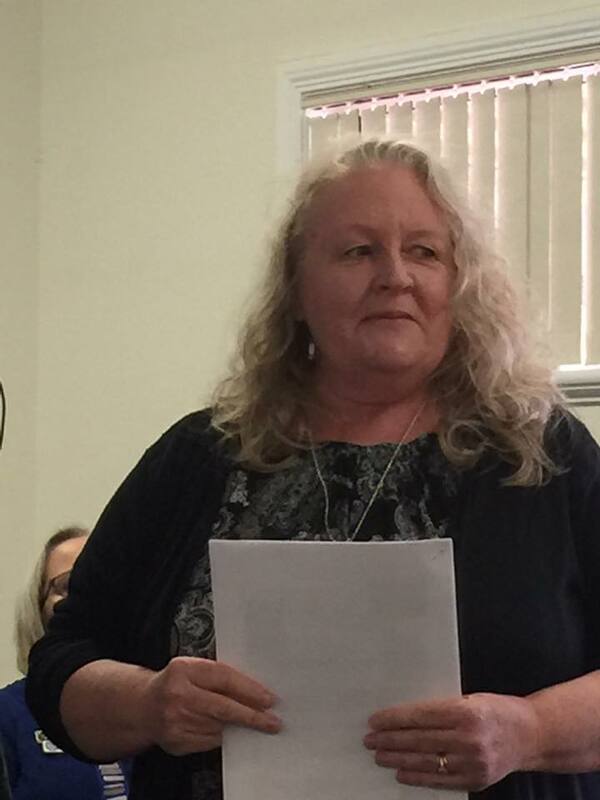 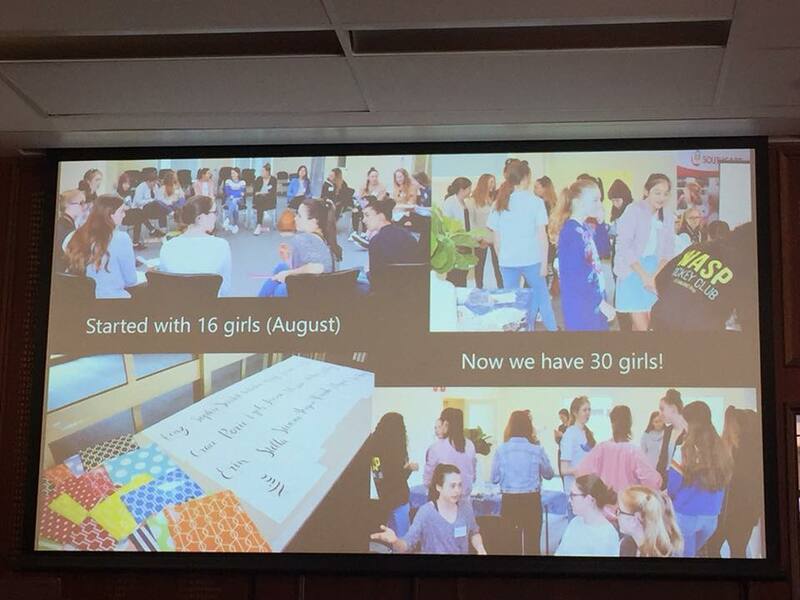 Hazel Butorac introduced four contestants who then presented their talks to an enthusiastic audience of family, friends and Soroptimists from a number of clubs including SI Maylands Peninsula, SI Rockingham and SI Fremantle – who had 15 of their members attending in lieu of their regular meeting. 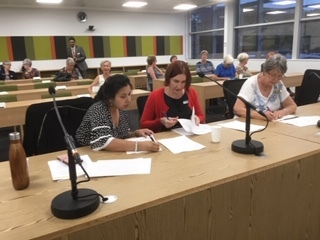 It was a lovely evening and the contestants were of a high calibre which made the judges task of selecting a winner very difficult. 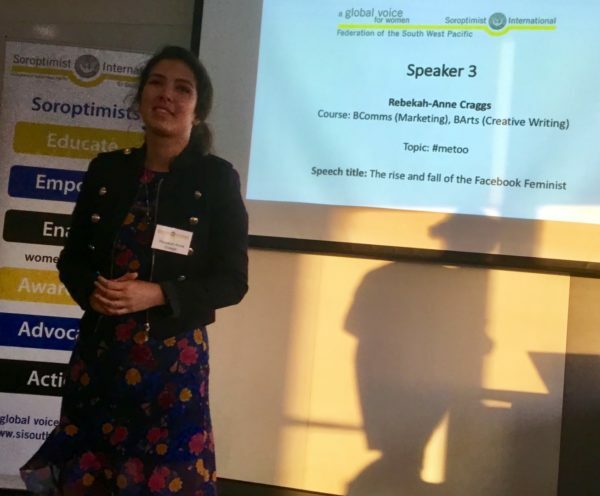 The winner was announced and she is looking forward to the final at Notre Dame University in a couple of weeks her name is Natasha Tonga. 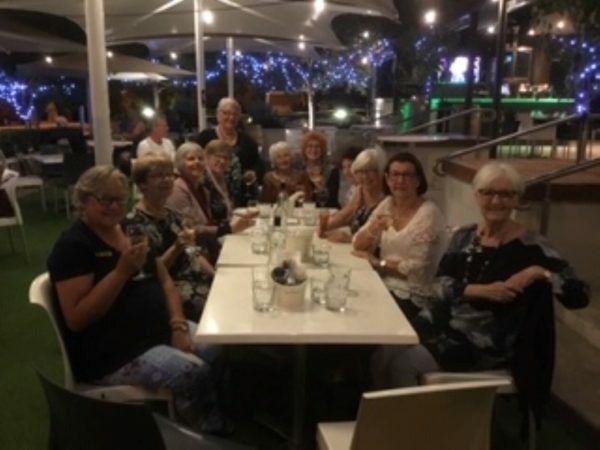 Members of SI Fremantle decided to make a night of it and continued on to Steve’s Pub in Nedlands for a delightful meal and a glass of wine. 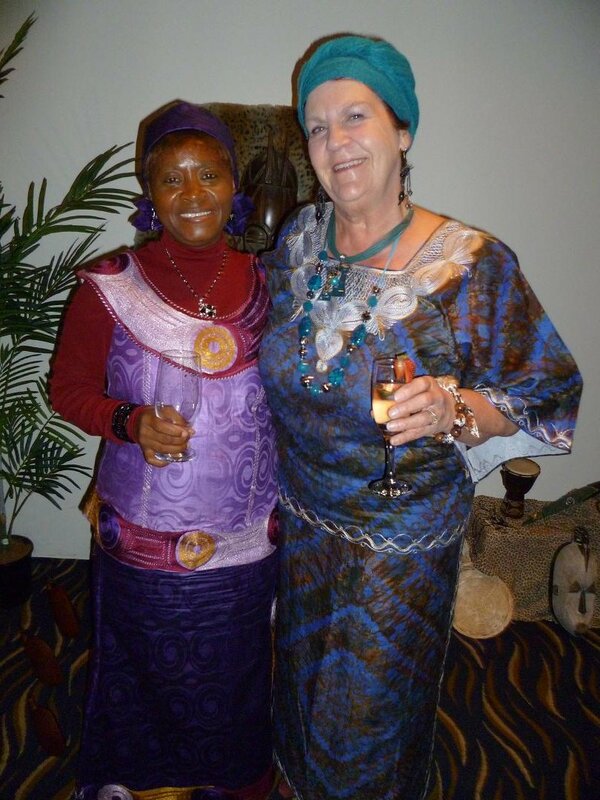 It was a beautiful balmy night outside under the stars in the beer garden.